DR RUBBERFUNK Disco Scene vinyl at Juno Records. 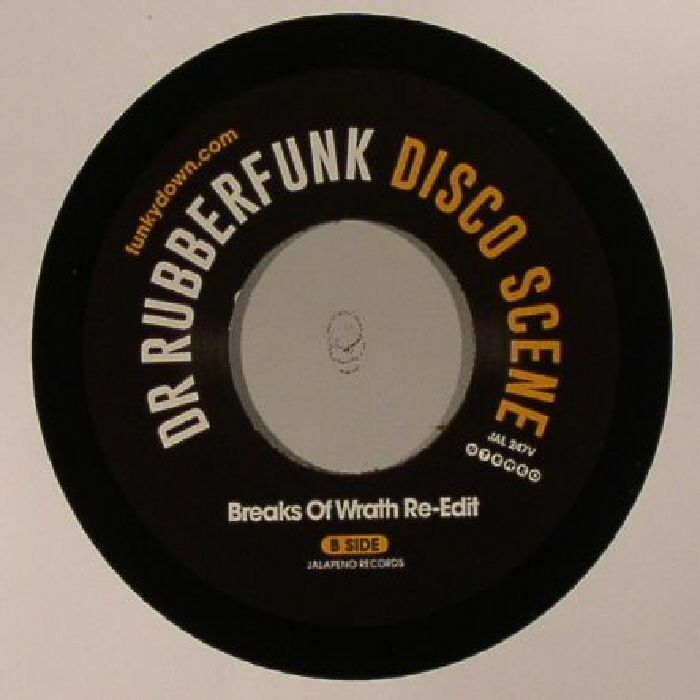 Dr Rubberfunk: what he lacks in legit medical credentials, he makes up for in absolute funk plaudits. Tongue-in-cheek, clever and sprung with a groove so slinky you might just lose your trousers, "Disco Scene" marks its 16th anniversary since its debut in 2001 with this updated edit on a cheeky blink-and-miss 45. Backed up with the equally bubblesome (if a little heavier) Breaks Of Wrath blend, this stands the test of time impeccably.